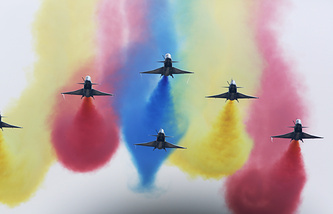 The 52nd Paris International Aerospace Show opened at Le Bourget (the northern suburb of the French capital) on June 19, 2017. 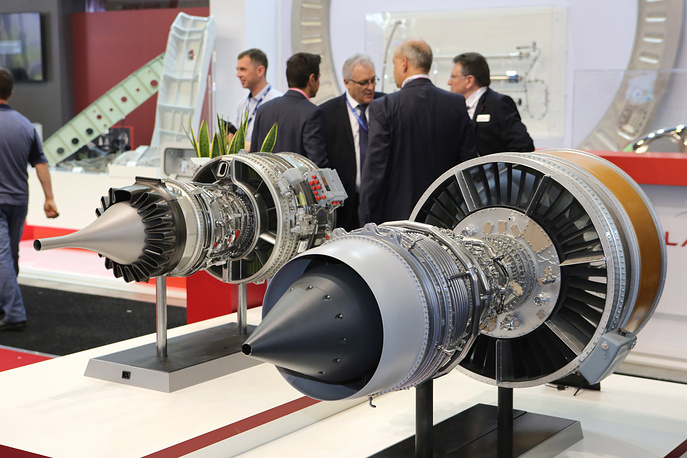 Overall, 34 Russian companies are taking part in the Le Bourget aerospace show (compared to 40 at the previous event held in 2015). The Russian participants include state arms seller Rosoboronexport, the United Aircraft Corporation (UAC), Irkut Aircraft Company, Russian Helicopters rotocraft manufacturer, the United Engine-Making Corporation, the aircraft companies Sukhoi, MiG, Ilyushin and Beriev, the titanium and aluminum producer VSMPO-Avisma and others. 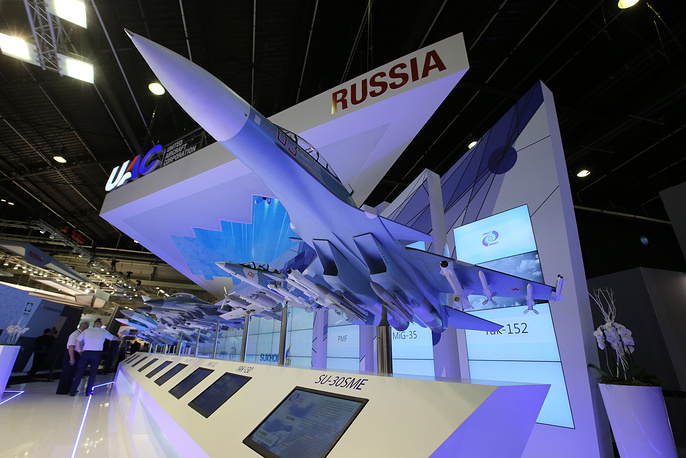 The Russian companies will demonstrate 190 promising aircraft and space technology items. 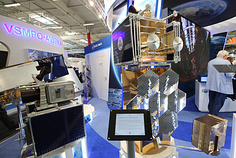 TASS has prepared an overview of the Russian exposition. Russia was unable to deliver armaments and military hardware items to the aerospace show. As Rosoboronexport explained, the Le Bourget aerospace show organizing committee had not imposed any restrictions and had guaranteed Russia the safety of its exhibits and its exposition; "however, the French customs bodies banned delivering full-scale items of military products to the country." That is why, the Russian exposition’s military component is present in the form of scale models and promotional materials. 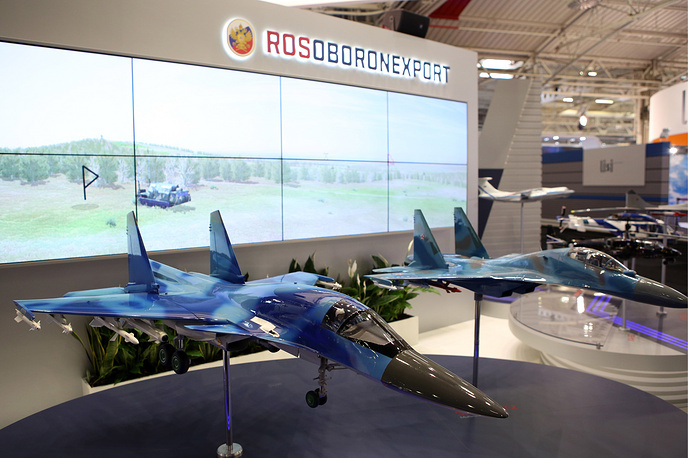 Specifically, Rosoboronexport demonstrates at the Le Bourget aerospace show the Mikoyan MiG-29M/M2 multipurpose frontline fighter jet, the Sukhoi Su-35 multirole fighter, modifications of the Su-30MK plane, the Yak-130 combat trainer, the Yak-152 training plane, the Kamov Ka-52 reconnaissance and attack helicopter, the Mil Mi-28NE combat rotocraft, the Mi-35 combat transport helicopter, the Ka-226T lightweight multirole round-the-clock helicopter, the Mi-26T2 heavy transport helicopter, and also the Russian-Indian project of a perspective multipurpose fighter (PMF). Rosoboronexport’s products also include Russia’s advanced air defense systems: the Antey-2500 surface-to-air missile complex, the Buk-M2E antiaircraft missile system, the Pantsyr-S1 air defense missile/gun complex and the Verba portable surface-to-air missile system. 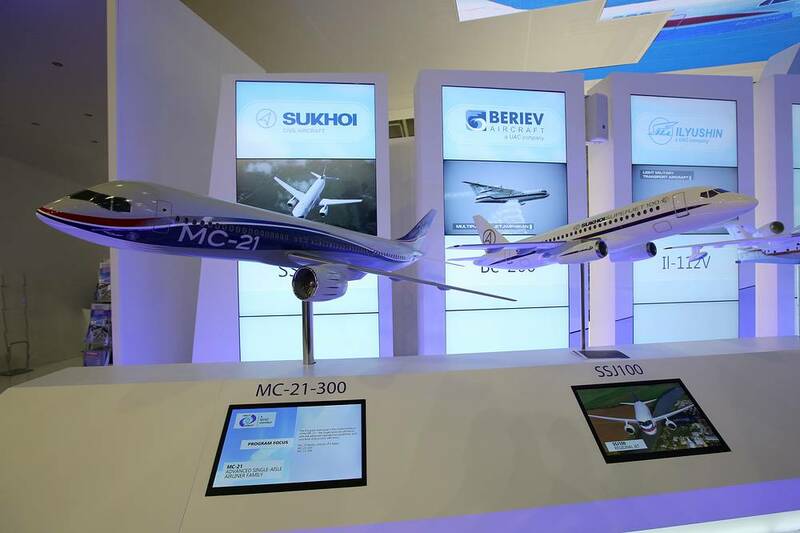 The sole Russian-made aircraft exhibited at the Le Bourget aerospace show is the Sukhoi Superjet 100 short-haul airliner. The aircraft is painted in the colors of Mexico’s Interjet, the largest operator of this airliner abroad. Russia’s newest medium-haul airliner MC-21 (it performed its debut flight on May 28, 2017) is represented by a training simulator for flight crews. 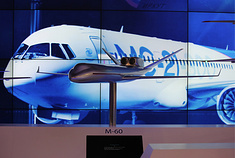 The United Aircraft Corporation demonstrates at its stand the models of the MC-21-300, Il-114-400 airliners and the MTA (the Multipurpose Transport Aircraft, which Russia is developing jointly with India), the Be-200 and the Be-103 amphibious aircraft, and also conceptual developments for the perspective cargo and passenger plane (M-60). Rosoboronexport’s stand also demonstrates the model of the Ansat lightweight multirole helicopter produced by the Kazan Helicopter Enterprise. 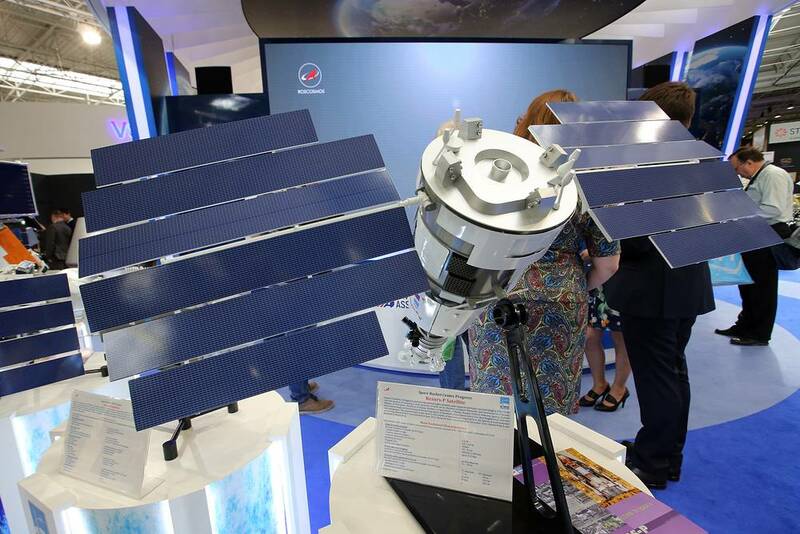 The exposition of Russia’s State Space Corporation Roscosmos is devoted to the 60th anniversary of the launch of the first artificial Earth’s satellite and the projects the corporation is implementing as part of international cooperation. Pavilion No. 4 that covers an area of 215 square meters features the products of the Energiya Rocket and Space Corporation, the Progress Rocket and Space Center, VNIIEM Corporation, the Lavochkin Research and Production Association, the Center for the Operation of Ground-based Space Infrastructure Facilities and the Khrunichev Space Center. These products include, in particular, the full-size mock-up of the Sputnik-1 satellite, the mock-ups of the International Space Station, the perspective piloted transport spacecraft Federatsiya, the family of Angara and Soyuz rockets and other space vehicles. The visitors of the Roscosmos stand will be able to make a virtual reality tour of the Baikonur spaceport, "visit" the homes of space technology designer Sergei Korolyov and first cosmonaut Yuri Gagarin and get acquainted with the possibilities of the new Russian cosmodrome Vostochny. 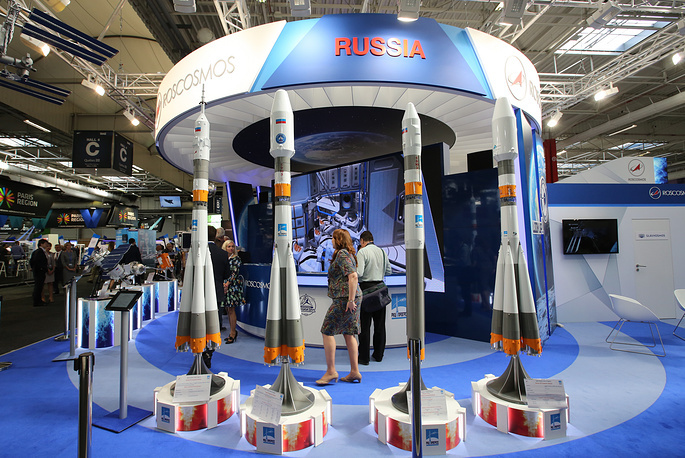 On June 20, Roscosmos intends to present at the Le Bourget aerospace show the new Russian operator of space launches - Glavkosmos Launch Services (GK Launch Services).